Ian says: "I had focused all my analysis on a piece sac on b5, convinced that this would be winning. I concluded that the knight was better than the bishop and after 20. Nb5! my opponent duly resigned because of the line... 20. axb5, 21. 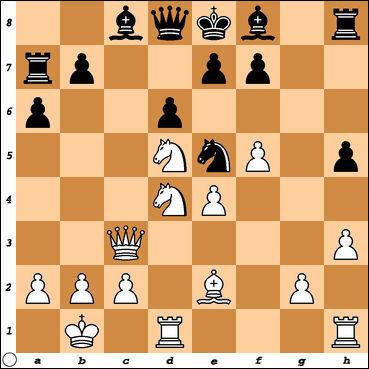 Bxb5+ Nc6 (if 21. ... Bd7 [or even Nd7] then 22. Nc7+ Qxc7; 23. Qxc7 Bxb5; 24 Qc8#) 22. Qxh8 with material advantage and the better position." How did black get into that position?? Game Fee to be abolished?